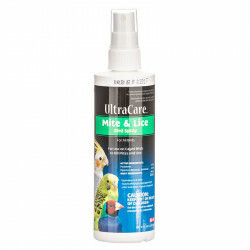 UltraCare pet products by 8 in 1 offers a huge line of medications, health treatments, training aids, grooming supplies and cage accessories, designed to make the lives of bird and small pet owners as convenient, hassle free and fun as possible. 8 in 1 is not only among the most popular pet products companies in the world, it's also one of the most enduring. Ultra Care pet supplies for birds and small animals has provided for generations of healthy pets. Founded over 110 years ago, 8 in 1 pet products brings over a century of experience to every UltraCare product. Birds and small animals have very specific needs, needs that once could only be treated by a veterinarian with the right expertise. UltraCare has changed that, offering pet owners the solutions they need to help maintain a healthy, happy, active life for their pets in the comfort of their own homes. Be sure to browse all of our UltraCare pet products to make sure you find just the right treatment, medication, supplement, food or accessory for your pet. 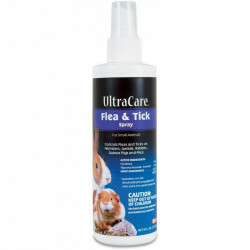 Pet Mountain is pleased to be a leading vendor of great UltraCare pet products. Pet Mountain is proud to offer you a wide selection of UltraCare pet products, at the very best prices available anywhere! Take a look at all of our huge selection of great deals! Can't find something you're looking for? Let us know! We'd love to help. Be sure to check out our online coupons and discount shipping on all your favorite products.